These contact lenses mimic the lipid layer of the tear film. 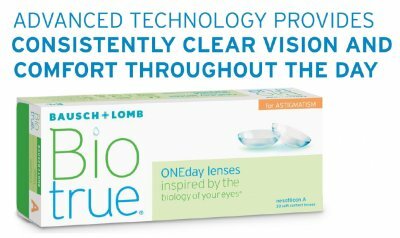 Biotrue ONEday provides a smooth optical surface and resists dehydration for up to 16 hours. High Definition Optics for crisp clear vision.